Claim to fame: The Giant’s Causeway, the Antrim Coast Road, Bushmills Whiskey, the Glens of Antrim are all famous throughout the world. It's also the closest county to Britain — just eleven miles of Irish Sea separate Antrim from the Mull of Kintyre. Auxiliary claim: St Patrick tended pigs (or sheep) on the slopes of Slemish — geologically speaking the remains of the plug of an extinct volcano. If you've never seen such a plug, Antrim's the place to go. Additional auxiliary claim (AAC): In case you’ve just arrived from Mars, Game of Thrones films extensively in the county. 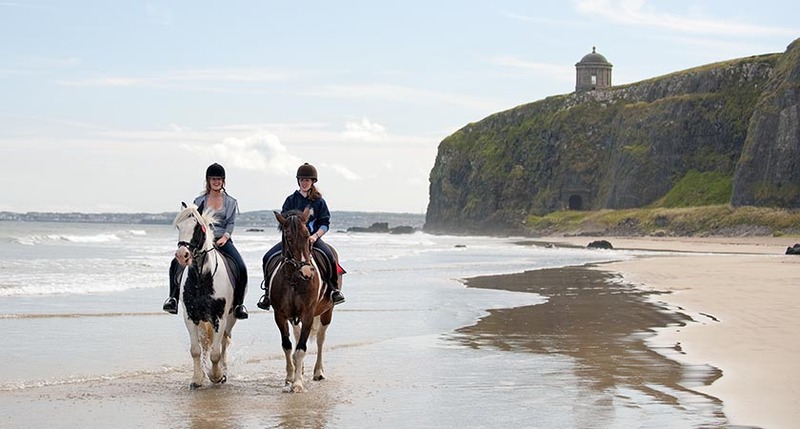 Sites include the Dark Hedges, Shane’s Castle and Ballintoy Harbour. Claim to fame: Armagh city was once the very centre of Europe, with a great teaching monastery and missionary abbey – now you can’t even get a direct flight there. Yet it remains a beautiful old city, the ecclesiastical epicentre of Ireland with two cathedrals, both called after St Patrick. And if you don’t know why they both have the same name, you haven’t been paying attention these last 800 years. Auxiliary claim: Beside the exemplary Armagh Planetarium is the original Observatory, founded in 1790. The historical main building is an architectural gem surrounded by beautiful gardens. BBC's Patrick Moore was curator here for many years. Claim to fame: John Tyndall, the first man to work out why the sky is blue, was born in Carlow. He came up with many other scientific breakthroughs, and eventually joined the Irish in Britain community by becoming Professor of Natural Philosophy at the Royal Institute. Auxiliary claim: Carlow is the second smallest county in Ireland, but is graced with some of the finest gardens in all Europe. Claim to fame: The Dartry Mountains are amongst the most fascinating in Ireland. Its rocks have been eroded into high cliffs, isolated spires and curious carbuncles. Also the drumlins of Cavan are a near text-book example of this geological occurrence. 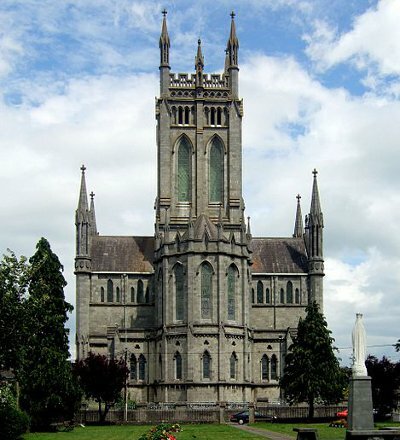 Auxiliary claim: Bishop Bedell (1571 – 1642), who first translated the Old Testament into Irish, is buried in the grounds of St. Fethlimidh’s Cathedral in Cavan Town. Claim to fame: The Cliffs of Moher, where the Old World abruptly comes to an end and plunges into the Atlantic, are one of Ireland's three UNESCO Heritage Sites (for homework, see if you can name the other two). Inland a little, the Burren is an extravagant limestone wilderness, but teeming with wild flowers come springtime. Auxiliary claim: In the words of Christy Moore: “If it’s music you want, sure go to Clare.” The county has more traditional seisúns than you could reasonably shake a bodhrán stick at. 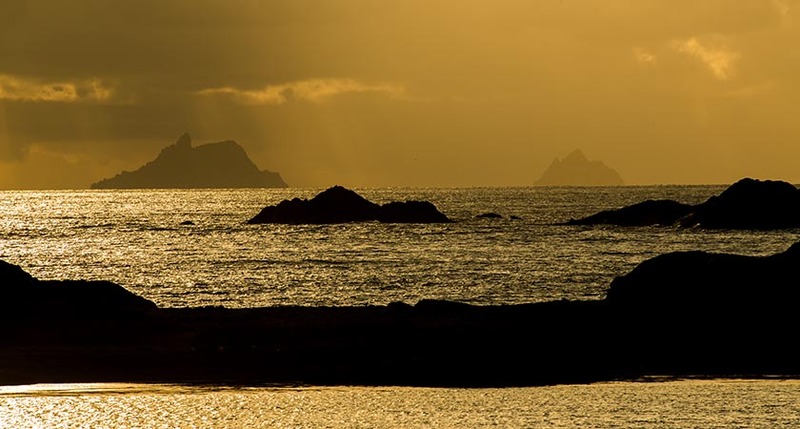 Claim to fame: Apart from the fact that Cork City is “the real capital”, Co. Cork is graced by what at first sight seems like a soft focus Guinness advert — but is, in fact, the West Cork landscape. Hedgerows of fuchsia and honeysuckle overlook bucolic meadow and woodland, and the snarling Atlantic coastline is never far away doing its jacuzzi party piece. 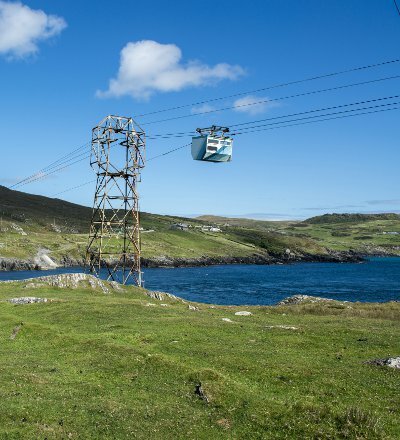 Auxiliary claim: To get to Dursey Island, lying at the southwestern tip of the Beara Peninsula, you need to jump aboard the cable car — Ireland’s only example of this type of transport, and one of the very few in Europe which crosses sea. Each cable car takes six people – or one cow. In days before the cable car, the cows had to swim across. Improbable though this may sound, there are photographs to prove it. Whether the cows (and sheep) preferred the airborne journey or the sea, we can only guess. The island is home to some half dozen people, a handful of livestock, and millions of seabirds. Claim to fame: The Walls of Derry are the only complete unbroken fortifications of any city in Britain or Ireland. It would be fair to say that Derry, with a history that the word chequered barely does justice, has probably needed them over the centuries. Auxiliary claim: The Bishop’s Palace and Mussenden Temple, Downhill, overlook the immense sands of Benone and Magilligan strands. Claim to fame: The Slieve League Cliffs, glowering over Donegal Bay, claim to be the highest in Europe with a sheer drop of 1972 ft into the Atlantic. Should you suffer the sad fate of slipping off One Man's Pass, which threads its way along the top of the cliffs, on your way down to the sea be sure to look out for the geological striations on the rocks that give the cliffs their unique colour. Auxiliary claim: Farming people settled around Gleann Cholm Cille between five or six thousand years ago. The most significant reminders of this society are the court tombs of Mainnéar Mortlaidh and An Clachán Mór. Claim to fame: Co. Down can boast the Mountains of Mourne, Tollymore Forest (where a large slice of Game of Thrones is filmed), the Royal County Down Golf course (one of the top half dozen golf courses in the world) and Strangford Lough. The latter is – the largest sea lough in these islands – is a pit stop for some of the great feathered travellers of the world. An estimated quarter of the world’s pale-bellied brent geese population arrive here every year from Greenland and the Arctic. Many other avian a-listers fetch up here too. 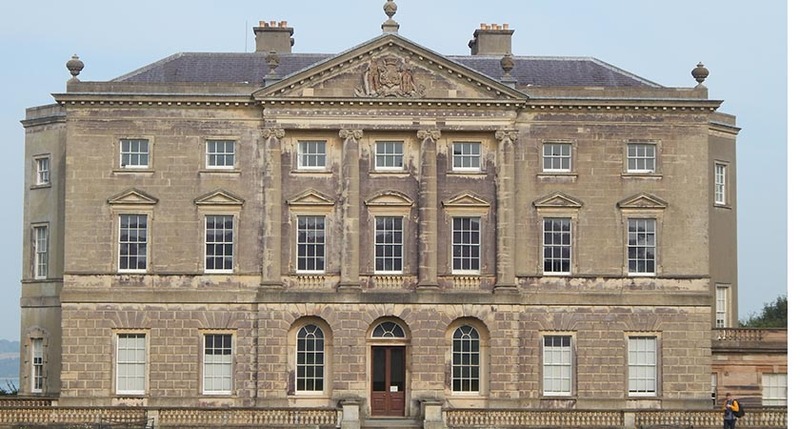 Auxiliary claim: Castle Ward, a National Trust property overlooking Strangford Lough, boasts dual architecture. While the entrance side of the building is done in classical style, the opposite is distinctly Gothic. All to do with a marital disagreement. Don’t try this one at home, folks! Claim to fame: Easy-going Dublin, the capital of craic and conviviality, produced figures as diverse as James Joyce, Dr. Barnardo, Dracula, the Duke of Wellington and U2. It is in equal measure decadent and pious, thoughtful and frivolous. But arguably the two things that have made Dublin what it is today are its writers and its pubs. 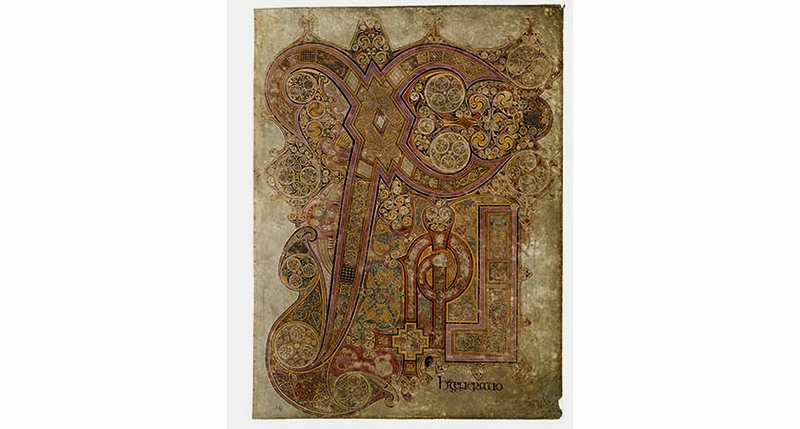 Auxiliary claim: The Book of Kells in Trinity College, and remains of St Valentine in the 19th-century Byzantine-style Whitefriar Street Carmelite Church. Claim to fame: Lough Erne for its bird-watching, angling, boating and myriad islands, and Enniskillen, the ancient town that stands at the junction of the upper and lower loughs. Auxiliary claim: Boa Island is home to two extraordinary stone statues – the seemingly gloating Boa Man, also known as the Lusty Man and the Janus Stone. No-one knows if these are pagan idols or early Christian statues, although latest guestimates for the stones’ age is around 2000 years. So if they are Christian, somebody must have been very quick with the news from the Middle East. Pop along and see if you can throw some light on it yourself. You might even want to write a poem about it. Seamus Heaney did – and called it January God. 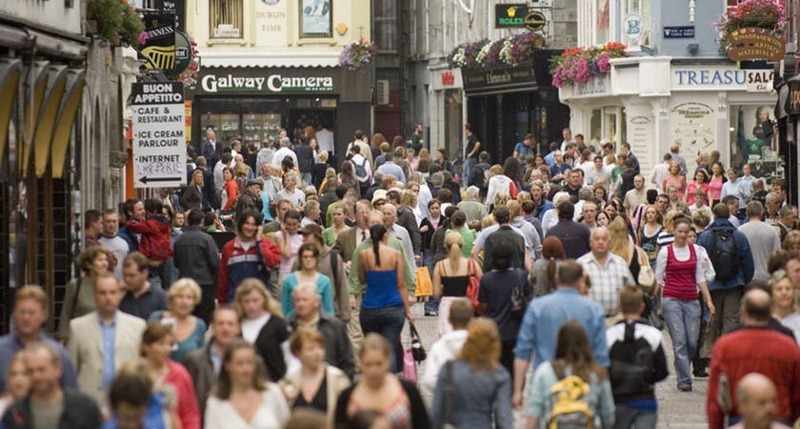 Claim to fame: Co. Galway, home to the largest Gaeltacht in Ireland, stretches from the wilds of Connemara through the Corrib country and on to the banks of the Shannon. It boasts two world class oyster festivals, one of the most famous racing festivals in these islands, the Galway Races, and of course Galway Bay, both song and sea inlet. If you want a real slice of Connacht life — or indeed want to buy a horse — you should try to make it for the unique occasion that is the Connemara Pony Show. Auxiliary claim: Christopher Columbus celebrated Mass in the Collegiate Church of St Nicholas in Galway, founded in 1320. Stopping off here on his way to find America, he popped into a church he passed along the way. Dedicated to St Nicholas of Myra – in other words Santy Claus – they have special services here come Crimbo. 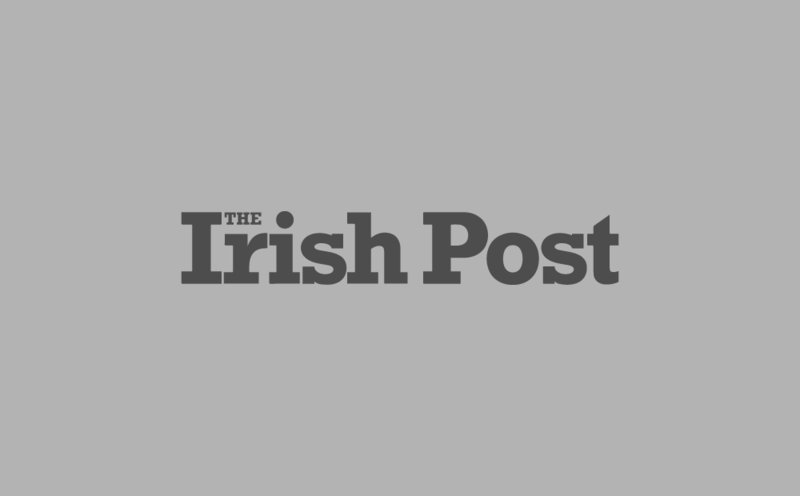 Claim to fame: Macgillycuddy Reeks, The Rose of Tralee, Skellig Michael, the Ring of Kerry, the Dingle Peninsula — are all within half an hour easy reach of a decent pub. Auxiliary claim: The fossilised footprints of a gaggle of 385 million-year-old four-legged animals or tetrapods, the ancestors of amphibians, reptiles, birds and mammals, can be seen on a trackway in the shadow of Jeokaun Mount on Valentia Island. This is an internationally significant site, you bet Jurassic. AAC: If you prefer living specimens, visit Fungi the dolphin in Dingle Bay. He's there 365 days of the year; has been since the 1980s. When he finally goes to the great dolphinarium in the sky the people of Dingle will find that — wait for it missus — life is without a porpoise. Claim to fame: Kildare, officially Ireland’s flattest county, has put its modest topography to good use. The world’s finest racing horses are bred here on the lush green plains of the Curragh and beyond. It’s also home to the great Bog of Allen, and to the grave of Theobald Wolfe Tone, the father of modern Irish nationalism — in Bodenstown. Auxiliary claim: Maynooth's museum celebrates the amazing Nicholas Callan (1799-1864), a priest and professor of natural philosophy at St. Patrick's. Claim to fame: Kilkenny Castle — it's up there with Edinburgh Castle or the Tower of London as one of the great castles of the world. Auxiliary claim: Jerpoint Abbey, Co. Kilkenny is one of the finest Cistercian monastic ruins in Ireland. Nearby is the reputed (and disputed) grave of St Nicholas, in the grounds of the ruined church of St Nicholas. Yep, Santa is buried in Kilkenny — according to local legend, supported by a few circumstantial facts. I have just returned from a day trip to Limerick. Within five minutes of my arrival in the city centre, two wild dogs ran by me and a drunken gentleman shouting obscenities in a butcher’s window collapsed, shattering the shop’s window. Auxiliary claim: The Foynes Flying Boat Museum, Foynes, Limerick, records Ireland's long aviation history includes the origins of Irish coffee — the drink, as you will know, contains the four main food groups essential to human life: alcohol, caffeine, sugar and cream. The Rock of Dunamase stands 46m tall and was ideal as a defensive position with its view right up to the Slieve Bloom Mountains. Claim to fame: The Rock of Dunamase standing 150 feet high, has been a destination since earliest times. Bronze Age settlers were the first to fortify it, followed by the Celts, just before all the usual suspects piled in; Vikings, Normans, English etc. Auxilliary claim: The Round Tower, Timahoe, is one of the finest ancient monuments in Ireland. Claim to fame: Leitrim is a narrow county, forty six miles in length, which can claim two miles of Atlantic coastline. It’s as though the county insisted on having one toe in the water no matter what. This is Ireland’s least populated county, with just over 30,000 souls. You could pack them all into the Cusack Stand of Croke Park, and still have room for a few folk from Roscommon. But if it’s quiet rural countryside you’re after, then you’re spoilt for choice. Which is kind of funny, because everything else is unspoilt. Auxiliary claim: Lough Melvin, internationally renowned for its unique range of plants and fish – with three types of trout — is angling central. Claim to fame: The Mote of Granard in Longford stands some 600 feet high and offers a wide-screen view of the Midlands. 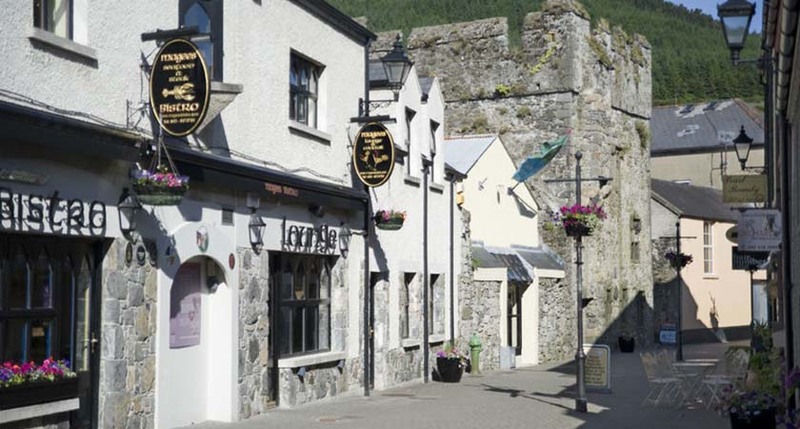 Claim to fame: Carlingford, one of the loveliest and best-preserved mediaeval villages in Ireland, has two castles and a mint (the money-making type, not the sweetie), the remains of a Dominican monastery and the beautiful Ghan House, a Georgian mansion now an upmarket hotel and restaurant. Which ain't bad going for a town of just over 700 souls. Auxiliary claim: From the top of Slieve Foy in the Cooley Mountains you can see about 10 counties of Ireland and well as the Mountains of Mourne, Lough Neagh, Scotland and the Isle of Man. This is Quiet Man country, the county of the Knock shrine, and of Croagh Patrick, a holy place since pre-Christian times. Auxiliary claim: Farmers have been tending their crops in Mayo for more than 5000 years. The Céide Fields are a snapshot of what the Irish countryside looked like some five millennia ago, proof that a highly organised, sophisticated and spiritually-minded farming community was working away here in happy isolation. Claim to fame: Brú na Bóinne, some 5,200 years old, and still going strong. The inner chamber is bathed in light every winter solstice – thus the building holds the title of being the world’s oldest solar observatory. Auxiliary claim: Hill of Ward, or Tlachtga, outside Athboy has claims to being the site of the very first Halloween. Overlooking the plains of Meath, Tlachtga was one of the centres of Celtic power in ancient Ireland. 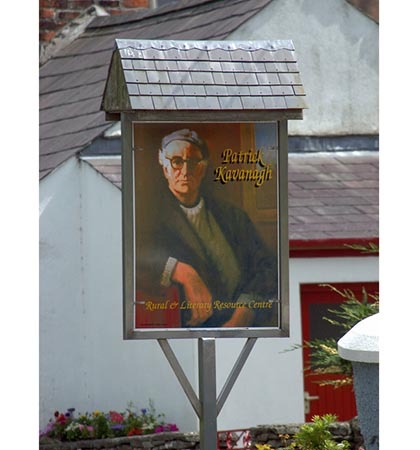 Claim to fame: The Patrick Kavanagh Centre, Iniskeen. Letters, manuscripts and memorabilia of the poet who wrote (amongst many other masterpieces) Raglan Road. 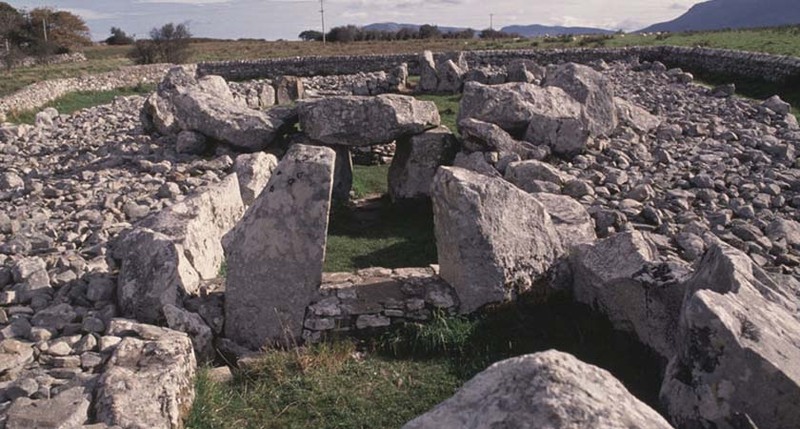 Auxiliary claim: The Neolithic court tomb at Tiredigan (on the Monaghan–Newbliss road). Set in deepest rural Ireland, the atmosphere is ethereal. Claim to fame: Near Clareen stands what is reputedly the most haunted castle in Ireland. Leap Castle’s nine foot thick grey granite walls give the huge edifice a foreboding appearance. Tours are available. If you think you’re tough eough. Auxiliary claim: Kinnitty Pyramid, the only one of its kind in Ireland, is situated in the graveyard of the Church of Ireland in the village, standing 30 ft high. Built in the 1830s, it is an exact replica of the Pyramid of Cheops in Egypt. Fame claim: Ireland has more castles per square yard than anywhere else— although Wales Scotland and Bavaria have all posted rival claims. 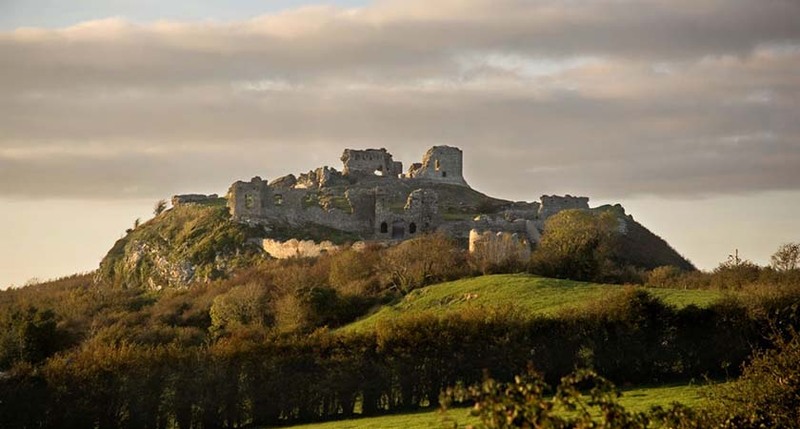 Ireland’s earliest surviving castles are Norman, and none is more atmospheric, more beguiling, than Roscommon Castle. Constructed on the orders of Edward I of England in the 13th century, today the castle stands in ruins — which only adds to its allure. It stands between Roscommon Town and Athlone off the N61. Auxiliary claim: The village of Elphin has been a bishopric for 1500 years, according to legend founded by St Patrick. Today’s cathedral holds the remains of members of the Goldsmith (literary fame) family. Claim to fame: W.B. Yeats’ grave in Drumcliff Cemetery. After “casting a cold eye on life, on death” (as per Yeats’ instructions on his headstone), pass by, and a couple of miles onward to the magnificent Glencar Lough heaves into view. Auxiliary claim: Creevykeel, one of the most impressive of Ireland’s prehistoric sites, is some 5,000 years old. Claim to fame: The Rock of Cashel is a remarkable outcrop of limestone rising some 300 feet above the plains of Tipperary, topped by towers and turrets of splendid medieval architecture. Auxiliary claim: Grubb’s Grave, Clogheen, This peculiar monument houses the remains of Samuel Grubb, one time owner of Castle Grace. Mr. Grubb insisted on being buried upright, so that come Judgement Day, he'd be up and ready to go. Beaghmore is a complex of early Bronze Age megalithic features, stone circles and cairns, 8.5 miles north west of Cookstown, County Tyrone in Northern Ireland, on the south-east edge of the Sperrin Mountains. 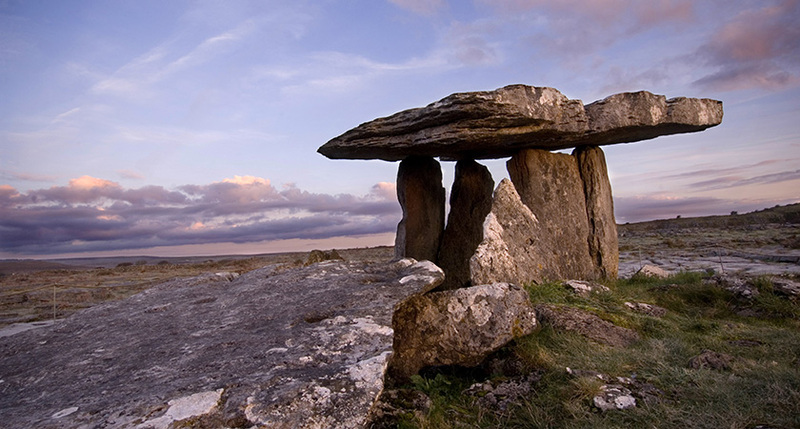 Claim to fame: Tyrone is liberally dotted with megalithic monuments and dolmens — with Beaghmore one of the most impressive. The intricate stone circles unquestionably denote considerable pre-historic effort, but their precise purpose can only be guessed at. Beaghmore is 8.5 miles north west of Cookstown, Co. Tyrone, on the south-east perimeter of the Sperrin Mountains. Claim to fame: Strolling round the ancient walls of Waterford — originally built by Reginald the Viking - you can’t really miss his eponymous tower, probably the oldest urban monument in Ireland. This stone bastion has its own mini-history – kings, princes, blaggards and villains have visited here on every errand imaginable. Auxiliary claim: The gardens in Mount Congreve are a profusion of flowers and shrubs. Claim to fame: Westmeath is home to the Hill of Uisneach, reputedly the centre of Ireland, associated with the High Kings of Ireland, and the sacred site of the ancient goddess, Eri or Eru , from which Ireland possibly derives her name. Auxiliary claim: It’s not that surprising that Westmeath is also home to what claims to be the oldest pub in Ireland — Sean’s Bar. Archeological records have found that the walls of Sean’s Bar in Main Street — made originally from wattle and wicker — have been standing since 900 AD. Further, extant records claim to name every owner of the pub back to its 10th century founding — including Boy George, who briefly owned the premises in 1987. Today the old pub is still a haunt of locals and visitors alike, and the craic regularly reaches 90, just as it has done since 900AD. 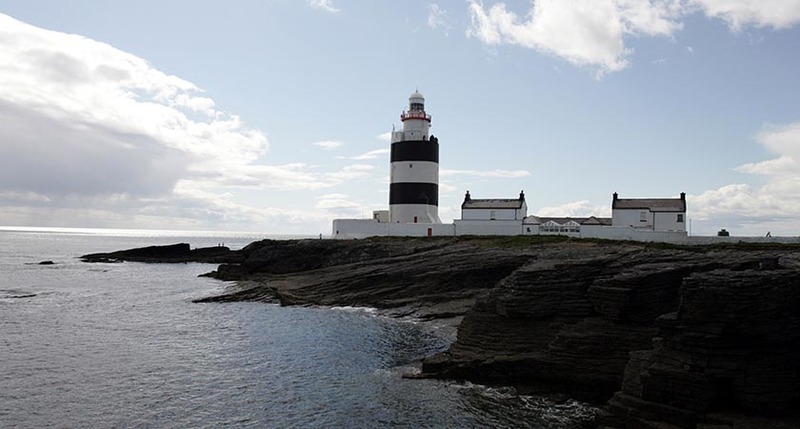 Claim to fame: Hook Peninsula eponymous lighthouse dates back to the early 13th century, probably the longest continuously operational lighthouse in the world. Auxiliary claim: Visit the Leaning Tower of Tagoat. Not quite as famous as the one in Pisa, but impressive nonetheless. The tower in question is part of the remains of a Norman castle on Lady's Island, on the Wexford coast. Claim to fame: The 1400-year-old monastic settlement of Glendalough a grey stone huddle of buildings clustered about the round tower - built to withstand Viking debauchery – is surrounded by the steep wooded sides of the valley. This is, quite simply, one of the most ethereal and atmospheric places in all Ireland. Auxiliary claim: Avoca, set in a verdant valley and immortalised in Thomas Moore's Vale of Avoca, was the home of Ballykissangel. With the demise of the show, the telly-tourists have diminished and the place has reverted to its former tranquillity. Correction: (3pm, July 26, 2016) Carlow is the second smallest county in Ireland not the smallest.